Westborough – Richard G. “Stingray” Pasqualetti, 65, passed peacefully into the Light Thursday, Aug. 25, 2011, concluding a courageous battle with cancer. He was surrounded by the love of his family. He remained a strong man who kept his dignity and sense of humor through it all. The oldest son of five children born in Dover, N.H., he graduated from Bartlett High in 1964. Upon graduation, he joined the Air Force and was stationed in Thailand from 1964 until 1968, honorably discharged as a sergeant. He then started his 34-year career with UPS. Mr. Pasqualetti loved golf, the Boston Red Sox and the New England Patriots, but his greatest love was his family. He will be greatly missed by all who loved him, including his wife of 36 years, Donna, and daughter Jaime Day Aceto, son Richard and stepson Jonathan Kalagher. He also leaves his sister, Kathleen McCann, and brothers Daniel and Robert. He leaves his grandchildren, Eben, Tyler and Kaiya Aceto, Quinton and Cameron Kalagher, and Logan Pasqualetti. He was predeceased by his parents, Eleanor and Robert; his brother, Peter; and his stepson, Mark Kalagher. A Celebration of his Life will be held Saturday, Sept. 10, at 1 p.m., at the First United Methodist Church, 120 West Main St., Westborough, followed by a gathering at Mulligan&apos;s Tavern at the Westborough Country Club, 121 West Main St., Westborough. The Rand-Harper-Pickering Westborough Funeral Home is assisting the family with arrangements. In lieu of flowers, memorial donations may be made to the “angels” of UMass Memorial Hospice, 650 Lincoln St., Worcester, MA 01605. 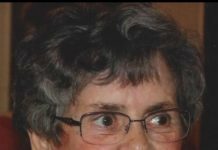 For online condolences, please visit www.westboroughfuneralhome.com.